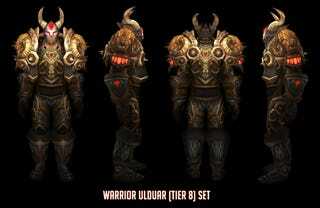 The biggest patch since the release of the Wrath of the Lich King expansion has hit the test realm for World of Warcraft, revealing tier 8 armor sets, legendary weapons, and the Argent Tournament. Among the expected changes such as dual talent specs and the ability of mounts to swim (hooray) comes a slew of new items we weren't expecting. First and foremost is the Argent Tournament, a brand new event in two parts - mounted combat and a coliseum battle, bringing with it new rewards and achievements for those hoping to build their Argent Crusade faction. Along with this news comes reveals of the tier 8 armor sets for all classes, updated class changes across the board, and the introduction of a new legendary mace - Val'anyr, the Gavel of Ancient Kings. For exhaistive details on the upcoming patch, check out WoW Insider's comprehensive guide below.